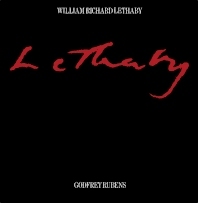 William Richard Lethaby: His Life and Work 1857-1931 focuses on the masterpieces, achievements, and legacy of Lethaby in architecture. The book first underscores the early life of Lethaby and his humble beginnings in the field of architecture. The text then ponders on the craftsmanship and architectural genius of Lethaby as shown in the design of the Stanmore Hall, Avon Tyrrell, The Hurst, Melsetter House, Rysa Lodge, Eagle Insurance Buildings, and High Coxlease. The publication highlights the creative mind of Lethaby through the artistic presentation of SS Colm and Margaret, All Saints' Church, Liverpool Cathedral Competition, and the Central School of Arts and Crafts. The text also takes a look at the works of Lethaby for the London County Council, his early architectural education and training, and his legacy as a theorist and writer. The book is a fine reference for historians, architects, and researchers interested in the works, contributions, and influence of Lethaby on architecture.